The Gators (37-12, 18-6 SEC) emphatically slammed the door shut on the Ospreys (25-22, 13-14 Atlantic Sun) behind a three-strikeout inning from relief pitcher Nick Maronde in the seventh and finished with a 4-1 victory. Maddox, after hitting 17 homers and posting a .333 batting average in 2010, has been walked 13 times this year as pitchers have tried to tame his beast-like capabilities in the batter’s box. He said that it is important not to get frustrated at sitting on only three home runs this season. 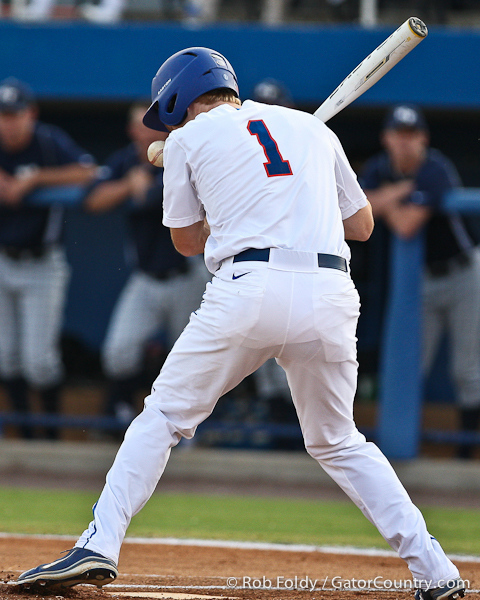 Although UNF finished with only one less hit than UF (7-8, respectively), the Gators did a much better job of manufacturing runs, scoring two runs off sacrifices by right fielder Preston Tucker and capitalizing on two errors by the Ospreys.